When couples walk into our practice for marriage therapy feeling angry, detached, depressed, and defensive, I am acutely aware that things can get better. But I have noticed 6 components that usually point to signs that the marriage is truly in jeopardy. Ready: One insurmountable opponent to affective marriage therapy is indifference. When you find yourself having a lack of concern, interest, or sympathy for your spouse, this is a clear and pivotal sign of a numb and severed connection. Whether you have experienced numerous emotional, mental, and/or physical assaults, you can find yourself anesthetized in your ability to react appropriately to your spouse. You are no longer reactive but just going through the motions. Not ready: However, if you find yourself affected by your spouse’s actions and you feel a needing to “help” them learn a better way, you may not be as ready to end your marriage as you may think. Love and hate are emotional extremes that speak to an underling passion. Ready: If you find that you have become very self-aware and you are able to process and regulate your emotions in a manner that is appropriate and healthy, this is an indicator that you may be ready to dissolve your marriage. If you are unaffected by your husband or wife’s actions, you are probably in a place of disconnected resolve. Not Ready: Emotions can be tricky to navigate if we are not self-aware. When a marriage is entering into a troublesome pattern, most often we can respond from a place of pain and unrest. Our emotions are like debris in a tornado. If you are unable to control your reactivity in response to your spouse’s way of functioning, you are still very connected and there may be work to be done. Ready: If you have begun to empathize with “the person” of your spouse, in spite of the perceived injustices you have suffered, this is another indicator of a damaged connection. Without intervention, your marriage may be in jeopardy. Not ready: It is common for couples to lose respect for one another. After years of pain and injury the laws of self-preservation can avail. As we focus on our survival, we can begin to disregard the person of our spouse. In essence, they are the opponent. 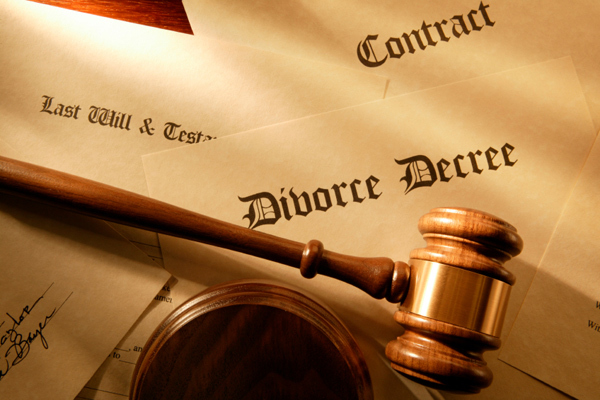 If you are locked in this perspective there is work to be done and you may not be ready to initiate a divorce. Ready: If you have been brutally honest with yourself and have accepted your culpability, this would be another indicator that you may be ready to proceed with dissolving your marriage. However, if self reflection does not come easy to you and you find yourself with limited insights, you would be better served to halt thoughts of divorce and begin a journey of honesty. Not ready: In moments of anger, rage, and volatility, it is all too common for us to respond out of raw emotion. However, when the dust settles and your emotions return to a normal baseline, what are you really feeling? If there is still an undertone of anger, you may need to take an honest self inventory of your true emotions. I often teach that Anger is a G.I.F.T, as it can mask more congruent feelings of guilt, inferiority, fear, or trauma. If anger can mask itself as an emotion of power while in fact being a sign of vulnerability and weakness, what other true emotions, perspectives or beliefs are trapped behind a lack of personal insight? Ready: It is the indifference towards your spouse and/or your marriage that is one of the most difficult to overcome. Your partners’ inability to take away and influence your life would suggest a severing of connection. When your husband or wife becomes inconsequential to you, this is a clear indicator that your marriage is in jeopardy. Not ready: However, if you find your internal dialogue is in a constant state of debate and conflict with phantom arguments with your spouse, you may very well be accepting influences from your spouse. Whether positive or negative, you may be still entangled with your spouse’s thoughts and beliefs of you. The need to be right, heard, or validated within your marriage conflicts would suggest there is need of more introspective work to be done. Ready: With a pragmatic view of your financial, legal, and emotional needs, you may have already thought through a life without your husband or wife. A clear sign you have thought things through would be the preparation in informing your children of the decision. If the thought of talking to your children seems like the next and most organic step, this is another indicator that you may be very close to making a decision to end your marriage. Not ready: However, if the thought of speaking to your children about the impending upheaval of their world seems too overwhelming to face, this could be a possible indicator that there may be some work that can be done to help heal and restore your marriage. Each of these elements needs to be working in tandem. Without all of these components, you could be headed for a very messy divorce, possible regrets, or unresolved and unfinished emotional business that could plague new relationships. No stone should be left unturned. You owe it to yourself, your children, and the person you married to be still and honest for a period of time and take an honest self-inventory. If there is evidence of a fire in your belly and you are constantly entangled in a “power struggle” with your spouse, there is still something there. Attempting to prove your point, trying to make them see that your way is the best way, or desperately needing them to validate how much you have been emotionally injured are all ways in which couples use ineffective and maladaptive tools to help “fix” their marriage. Here is the good new; with the help of a licensed marriage therapist, you and your spouse could learn a more effective and healthier way to manage and navigate marital storms together. If this article resonated with you, contact me to schedule a phone or video consultation for additional insight, decision making skills, and clarity. **Portions of this article were previously published in LinkedIn Pulse.